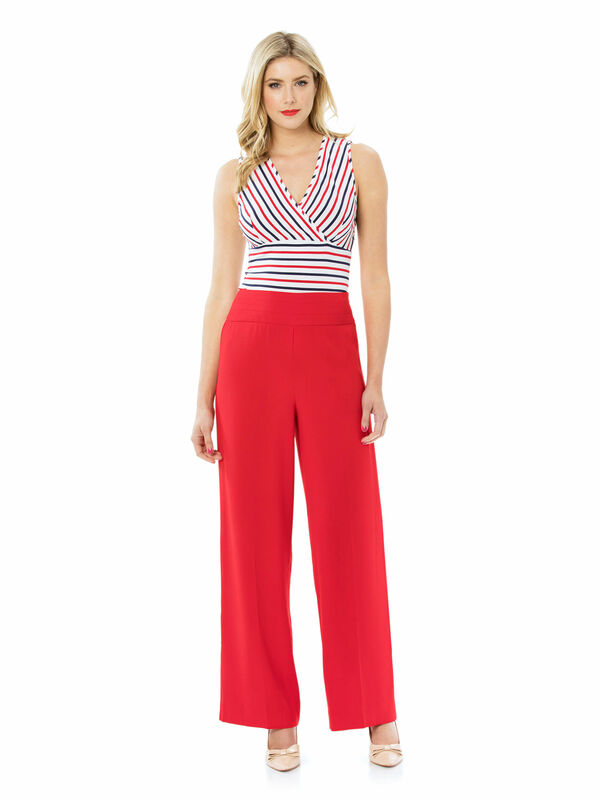 Mariner Stripe Top https://www.review-australia.com/au/mariner-stripe-top-white/RE19TK025.REWHT033.html In our soft and high quality stretch fabrication, the Mariner Stripe Top feels as fabulous as it looks. Sleeveless with a sharp v-neckline and regular fit, this flattering top is split with a cross-over bust and a regular hem through the body. 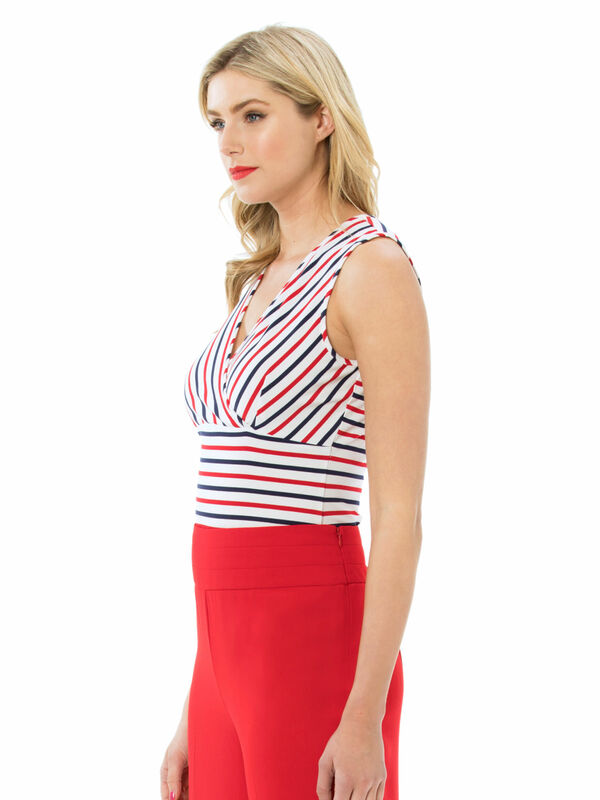 Fresh nautical stripes in navy, white and red make this a work to weekend favourite. Mariner Stripe Top is rated 4.9 out of 5 by 45.